With several attributes generated for a seismic project, it becomes desirable to integrate the information provided by these attributes, so that they can be interpreted in a convenient and meaningful way. For doing this, some kind of decision making will first need to be done to separate the wheat from the chaff, i.e. the useful features in the seismic attributes are picked up from the background information, for display or further computation. Such decision making could be done either by a human interpreter in an interactive fashion or could be automated with the use of computing machines. 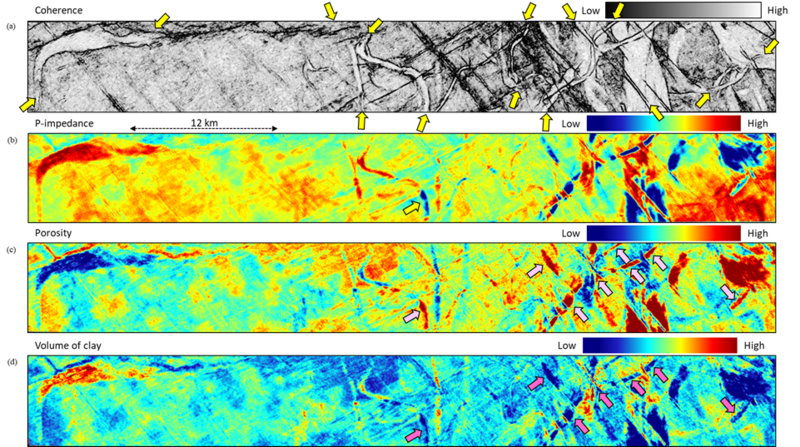 Fortunately, a broad range of tools exist that can be used for integrating the information provided by the seismic attributes. Synonymous with the explosion in the data volumes and compute power that is available these days, the term machine learning has become a buzzword in geoscience, along with deep learning, and others. Machine learning refers to teaching computers via mathematical operations how to learn from the provided data and make decisions or predictions. As the type of learning style adopted for a given problem to be solved with computers could be specific, it is important to mention it. Learning by machines is done in different styles, namely the unsupervised, supervised and the semi-supervised. Unsupervised learning endeavors to bring out hidden patterns or structure in the volume of input data through pattern recognition algorithms, without any prior knowledge about the desired output. Supervised learning refers to prior knowledge of the desired output from a subset of the available data input, which is determined through a process called training. Algorithms such as regression, classification, etc. then adopt a pattern identification workflow to predict desired output from the data not used in the training. Semisupervised learning adopts the simultaneous use of the prior knowledge on a small subset of the data, along with a large volume of the data, where no prior information is available. The branch of machine learning that handles such churning of data is referred to as deep learning, and makes use of neural networks. Such networks support hidden layers to identify features in the input data to predict the desired outputs. 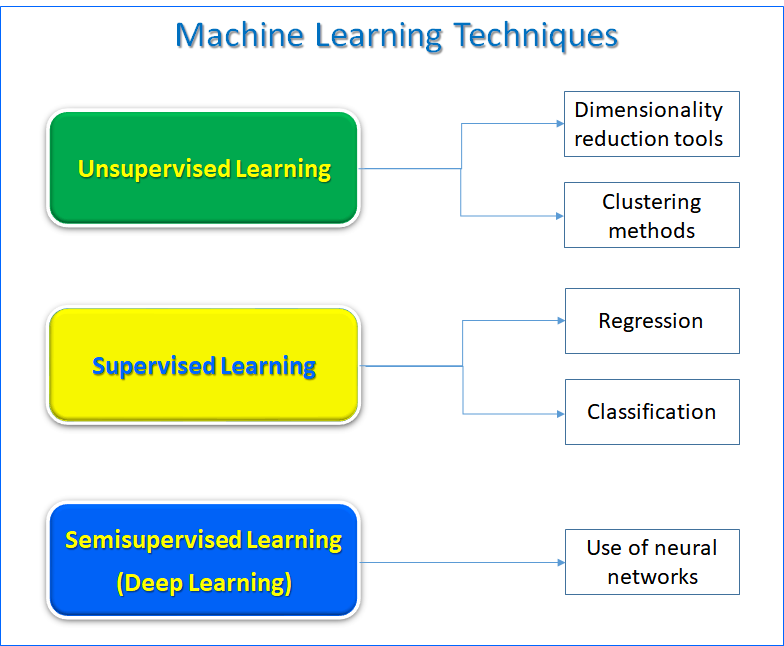 Under the unsupervised machine learning techniques, clustering methods or dimensionality reduction techniques are commonly used, where the adopted method churns through the seismic data to find patterns and relationships therein. 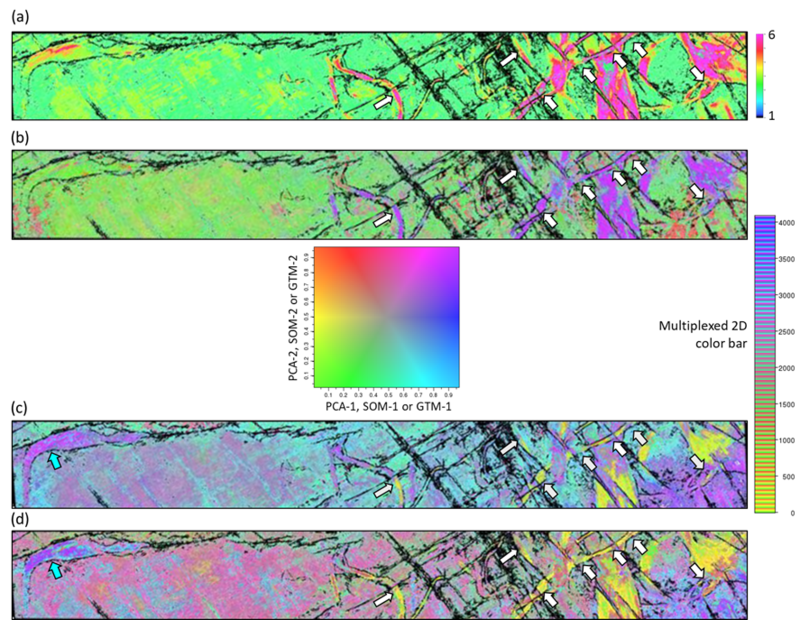 We recommend the application of techniques such as principal component analysis, K-means clustering, self-organized mapping (SOM) and generative topographic mapping (GTM), which help with the study of facies variation with the shale.